The Supreme Court has recently issued its judgement in Williams v The Trustees of Swansea University Pension and Assurance Scheme, a case that brings to a close a long running employment dispute on the scope of the protection against discrimination arising from disability in section 15 of the Equality Act 2010. Specifically, the case centred on the question of what amounts to unfavourable treatment. For employees the decision is not a helpful one but being a decision of the Supreme Court and there being no indication of any ECJ reference it is an important one for employee representatives to be aware of. 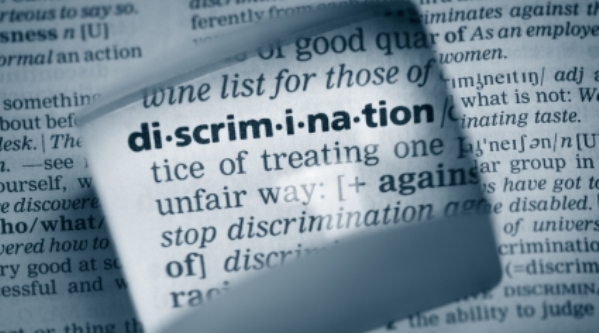 Section 15 of the Equality Act 2010 sets out that it is unlawful to treat a person unfavourably for something arising from disability if that reason is not a proportionate means of achieving a legitimate aim. The case is a relatively simple one but to understand what this case means a review of the factual background will be helpful. Mr Williams was employed from 2000 until July 20913 when he was retired on ill-health grounds. He was 38 years old when he retired. His pension scheme provided that in the case of ill-health retirement there would be no actuarial reduction in his benefit, this essentially meant that his pension would be calculated on the basis of what it would have been had he continued working until pensionable age. Part of this calculation considered the employee’s final salary at the time of retirement. Before Mr Williams retired in order to try to manage his attendance at work with his disability Mr Williams was a part time worker. This meant that when calculating his pension entitlement the pension provider used the part time salary as the final salary. The core of the case was that the claimant alleged that the reason his working hours were lower, and therefore why he had a lower final salary was because of disability. Therefore, the decision of the pension provider to issue a lower pension was, according to the claimant, unfavourable treatment. The respondent, by contrast, alleged that there was no unfavourable treatment at all and the facts show that the award of a pension was a positive a decision advantageous to the claimant. On the question of unfavourable treatment the Supreme Court endorsed the decision of both the Employment Appeal Tribunal and Court of Appeal that the award of a pension was not advantageous. The only basis on which Mr Williams was entitled to any award at that time was by reason of his disabilities. As Mr Bryant says, had he been able to work full time, the consequence would have been, not an enhanced entitlement, but no immediate right to a pension at all. It is unnecessary to say whether or not the award of the pension of that amount and in those circumstances was “immensely favourable” (in Langstaff J’s words). It is enough that it was not in any sense “unfavourable”, nor (applying the approach of the Code) could it reasonably have been so regarded. There is of course a logic to that but I am afraid I am not persuaded. The suggestion that there is an “artificial” relationship between the decision to award a pension for ill-health and the method by which the amount of the pension is calculated seems to me to be divorced from the reality of what happens in such cases. There are two comments in particular that I think are appropriate. The submission of the respondent that the pension would not have occurred bit for the disability seems questionable. There is no reason that a person working full time would not be medically retired, perhaps because their ill-health causes significant absences or performance concerns. This observation leads to a second and more important observation. Frequently an employee who would likely be eligible for ill-health retirement will not want to be retired, they want to be useful and, as a means of doing that, will explore reduced working hours as a means of maximising the chance of working as long as possible. Is it right that an employee taking a decision such as this should do so in the knowledge that this becomes a gamble, and that if the adjustment (reduced hours) does not succeed they will be effectively penalised for this in reduced pension awards. Allied to this a more worrying risk is that some employer will actively ‘encourage’ employees who are disabled to reduce their working hours (under the guise of this being a reasonable adjustment) in the knowledge that the most likely outcome will be a reduced longer term pension liability to their disabled employees and the employees being in a much worse position than they would have been but for the employer’s reasonable adjustment. Williams v The Trustees of Swansea University Pension and Assurance Scheme  UKSC 65.